A girl can never have enough lipsticks,so I am back with another one. This time it's by all lipsticks king MAC. I think they deserved this name. haha I love my make up, but spending nearly £16 for only one lipstick it's something very difficult for me to do. I mean, c'mon I have bills to pay and all that crap, so I don't want to spend nearly 20 quid for a lip product! Do you feel my pain? And that's where duty free comes handy! Ta - daaah! 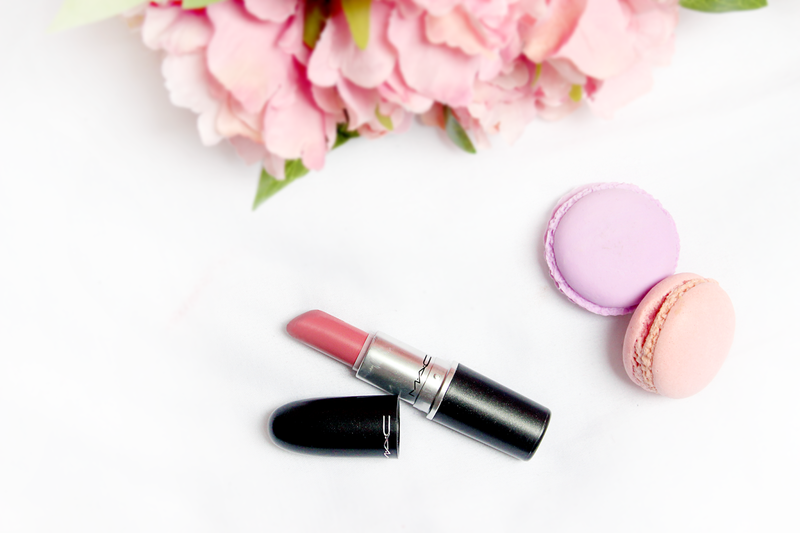 £12.90 for a lipstick of your dreams. Yup, nearly whole fiver off! Omg, I made it sound like it's such a big deal... Seriously, am I getting old? Anyways, I have been flying to Spain recently, so I managed to get my hands on Duty Free bargains. I wanted to get MAC lipstick for ages now, after reading so many reviews and looking at those gorgeous swatches I have decided to treat myself and grabbed this stunning lippie. 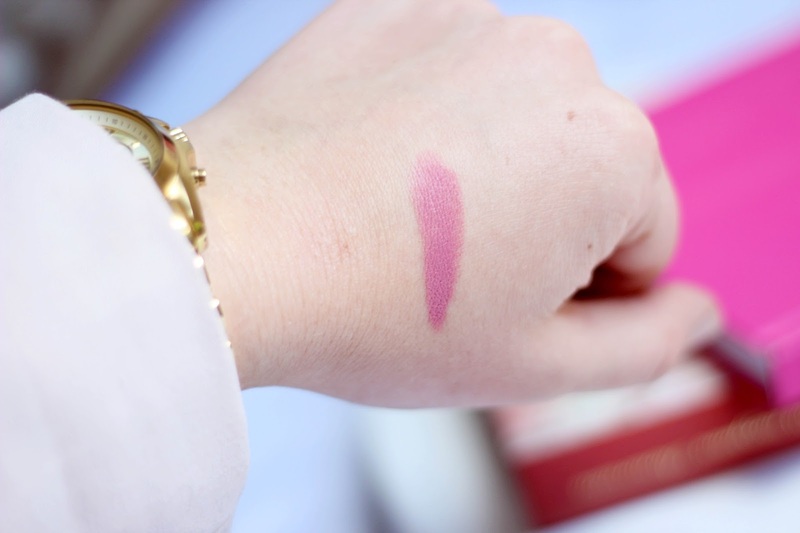 The shade I picked is Pink Plaid and hands down - it's my all time favorite lipstick. The quality, the shade and the lasting power won my heart right away! Pink plaid is cold toned pink matte lipstick. It has a bit of purple or blue shade in it, I can't decide which of them is more noticeable. It looks stunning on fair skin girls like me, I think It would look a bit washed out on darker skin tones. Sorry girls... It's matte lipstick, but consistency is so creamy and not drying at all. It makes the application very easy. I think all of the MAC lipsticks are so pigmented that one swipe is more than enough. The staying power is amazing, even eating greasy food you will still have your lipstick on! It didn't take long for me to get totally obsessed with this lipstick. It's perfect for work or for everyday wear. Let me know what you think about it. 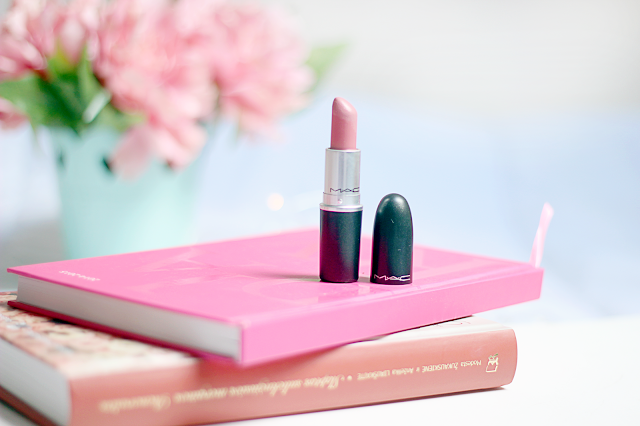 Do you have your favorite MAC lipstick shade? Such a stunning shade! You can't beat MAC lippys! P.S: your eyes are gorgeous! That is super duper pretty! I might have to give it a try when I next nip in to mac! I'll be travelling soon and it's great to write down a little list of products you really want!